Whether it’s the Trump National Golf Club in Bedminster, N.J., where the U.S. Women’s Open Golf Championship starts Monday; the club outside the nation’s capital, where the president often spends time over the weekend; the historic Mar-a-Lago Club, where he hosted the president of China and the prime minister of Japan; or one of his other exclusive addresses, each collects a hefty initiation fee from new members — up to $450,000 per person, with annual dues on top of that. Trump has benefited greatly from these initiation fees for years. Even back when it was typical for membership fees to take the form of refundable deposits, he broke with the norm for such clubs by taking the money for himself, according to documents and interviews. In 2004, Trump had access to nearly $100 million from refundable fees from members at just four clubs, including Mar-a-Lago, the resort in Palm Beach, Fla. that Trump has dubbed the Winter White House, according to a personal financial statement written by his accountant that year and obtained by McClatchy. Reporting by McClatchy, including nearly 20 interviews and hundreds of pages of documents — some from litigation involving Trump and his businesses — shows that the president put in place unusual policies that allowed him to keep the high one-time fees charged to new members and put language in his club rules that allowed him to spend the money on anything he wanted. Trump’s decision to retain ownership of his businesses while president, including his nearly 20 clubs across the globe, has been sharply criticized by ethics experts who cite a litany of potential problems: Will the president’s proposals on taxes, environmental rules and labor regulations benefit his bottom line? Are members and their guests gaining unfair access to the president? Is the president violating the Constitution by accepting money from foreign officials? Do local and state leaders feel pressure to make decisions that could favor Trump’s businesses? 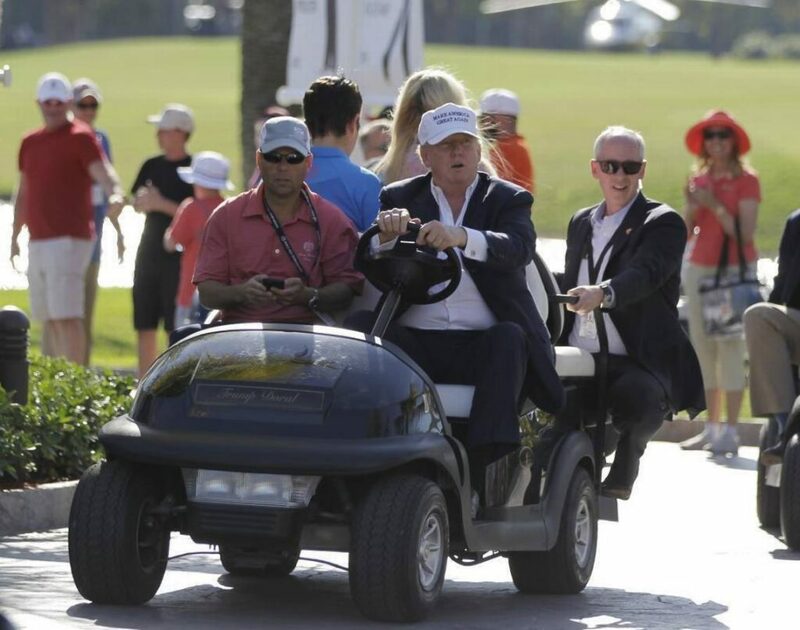 In the more than five months he has been in office, Trump has visited Mar-a-Lago on 25 days and his golf clubs on 36 days, sometimes more than once a day, according to a compilation of information released by the White House. The visits have led to a flurry of publicity that could boost the clubs’ popularity and revenue, fueling questions among experts as to whether he is using the presidency to make more money. The director of the independent Office of Government Ethics, who has been the federal government’s most persistent critic of the Trump administration’s approach to ethics, announced Thursday that he is resigning nearly six months before his term is scheduled to end. Walter M. Shaub Jr. repeatedly challenged the Trump administration, publicly urging President Trump to fully divest from his business empire and chastising a senior Trump adviser for violating ethics rules. His outspokenness drew the ire of administration officials and earned him near-cult status among Trump’s opponents. ..
“In working with the current administration, it has become clear that we need to strengthen the ethics program,” he said.